Mark your calendar and plan to attend the 2011 High Chaparral Reunion in Tucson, Arizona on October 21, 22, and 23. Henry Darrow - Chaparral's Manolito Montoya - sent a special message to fans, saying, "I'm looking forward to the 2011 Reunion!" Don Collier, Rudy Ramos, Ted Markland, Kent and Susan McCray, Bob Shelton - they're all excited to see their fans again, can't wait for the big party! Linda Cristal is planning to participate in a panel discussion via phone and will provide a personal phone call for the silent auction. While Linda hasn't ruled out actually attending we're thrilled she's going to participate with all of us in this way. The 3-day weekend package is only $320, but fans who register before February 15th can SAVE with the Early Bird special rate of $225! Don't delay - register TODAY and save. This extremely low rate won't be repeated, and we want every fan to attend this amazing weekend, filled with one-on-one time with the stars, backstage stories, camaraderie and fun. Fans can pay over time through the online registration website at wwwthehighchaparralreunion.com. We hope the low cost Early Bird rate and optional payment plan help everyone attend. A highlight of the event is the Reunion at the Ranch, when we reunite The High Chaparral cast, crew and fans at the original Cannon ranch house, located at Old Tucson Studios. During the 2009 Reunion an unbelieveable number of former HC family came to meet fans, reminisce and marvel at the hundreds of people on the set. "It's just like the old days," was heard often. Visit The High Chaparral Reunion website for details about registration costs and all the planned events. TAke advantage of the Early Bird special rate of $225 before February 15th. 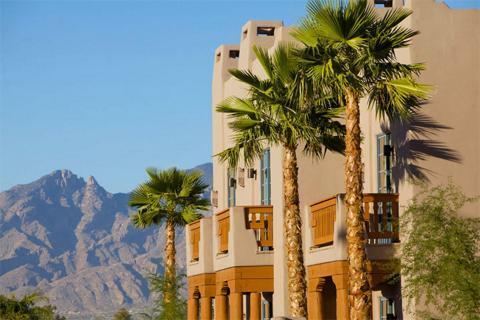 The High Chaparral 2011 Reunion block of rooms is now available for fan registration at Lodge on the Desert, a classic Tucson boutique hotel. 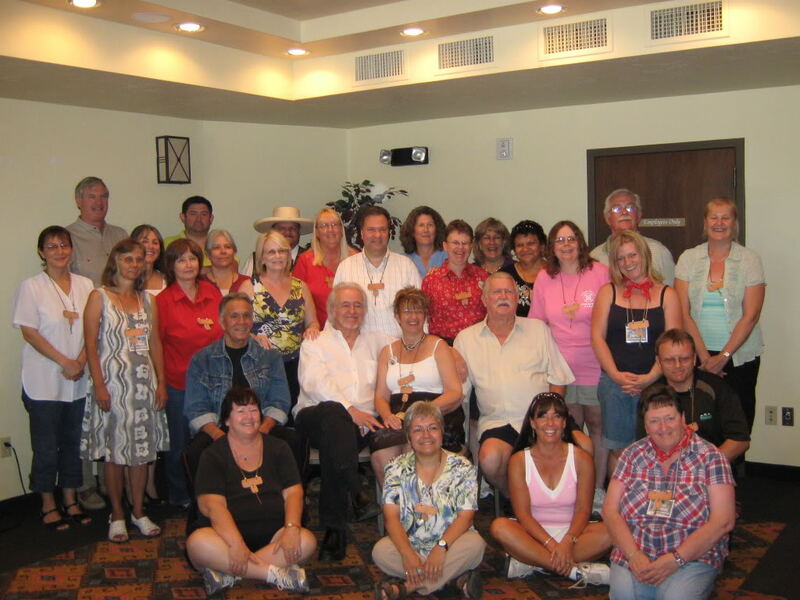 The special High Chaparral Reunion rate of $99 a night per room (with all the required government taxes and fees the total cost will be $113.92) applies to a specified block of rooms, only for attendees of The High Chaparral Reunion 2011. Suites are only $20 more per night. When calling Lodge on the Desert to reserve, ask for code CHAPARRAL. The special rate is available 3 days before and after the reunion dates so you can come eary and stay late. Lodge's mid-town location is convenient to Tucson International Airport and Old Tucson Studios. Fans who require airport transfers just need to request information when making a reservation, and Lodge will provide contact information. Rond trip per person airport transfers are typically around $45 per person with one of the professional transportation companies. Deadline for reservations at the special Reunion rate is September 29, 2011. Reservations made after that date will be at the hotel's regular rate. Call 877-498-6776 to make your reservation. Linda Cristal has launched her Official Website, www.lindacristal.net. The site includes a brief bio, a great slide presentation of photos, a page of clips from her movies that you can watch, and best of all lots of photos that you can order and have autographed by Linda Cristal with a personal inscription. The site also includes a link to her Facebook page and an invitation to become a Facebook friend. 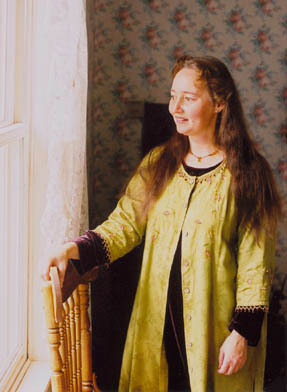 For those of you who wonder what Linda looks like now, go to the website, and check out photo #8. She truly is a timeless beauty. Linda is now on Facebook! Send her a friend invitation and post a message on her wall. There are several other pages that pay tribute to Linda that are really great, but this is the only page where you can correspond directly with Linda Cristal! 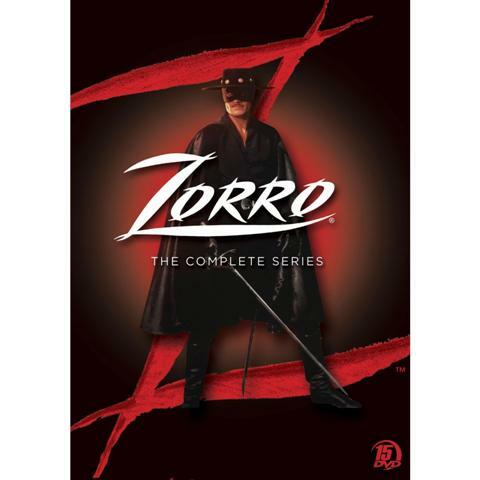 Coming January 25, 2011 from A&E Home Video, the complete New World Zorro series on DVD. It stars Duncan Regehr (Zorro/Don Diego de la Vega), James Victor (Sgt. Jaíme Mendoza), Patrice Martinez (Victoria Escalante), Henry Darrow (Don Alejandro de la Vega seasons 2-4), Efram Zimbalist Jr. (Don Alejandro season 1) , Michael Tylo (Alcalde Luís Ramón), John Hertzler (Alcalde Ignacio de Soto) and Juan Diego Botto (Felipe, Zorro’s assistant). Filmed entirely in Spain this ½ hour series was a Family Channel original in the 1990s. The top-notch cast and crew make it lively entertainment for all ages. High Chaparral fans should especially enjoy charismatic Henry Darrow as Don Diego’s dashing father in seasons 2, 3 and 4. Season 3 guest stars include beloved HC regular Bob Hoy and HC guest star Donna Baccala. Manolito Montoya shows up to play young Don Alejandro and does he ever look the part. Plus, in “Sanctuary” (2nd season) plucky Lauren Levian (Mrs. Henry Darrow) fights fire and helps a wounded hero. The complete series set includes a bonus DVD with the silent film The Mark of Zorro (1920), trailers from cinema Zorro serials and the original never-released pilot and photo gallery for New World Zorro. To learn more about New World Zorro, where “swashbuckling never looked so good”, visit New World Zorro. To get your own swashes buckled, pre-order New World Zorro on DVD now at Amazon.com. Now he Stars in The High Chaparral. 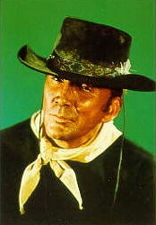 Cameron Mitchell coudn’ t be happier with his role in the new NBC-TV western series, The High Chaparral. 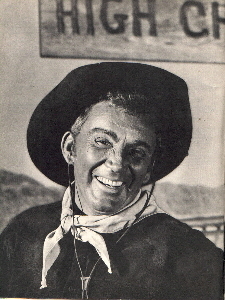 In fact, he gave up a promising career in European features to return to the United States to portray Buck Cannon in the series, The High Chaparral is a Sunday color feature. Born in Dallastown, Penn, one of seven children, Mitchell’s strict Scotch-German parents discouraged any interest in the theater. His father and all the men in the Mitchell family were ministers as far back as he can remember. After high school he went to his principal and borrowed $250 with no more security than his enthusiasm and took off for New York City. During World War II he served in the Air Corps as a bombardier until 1944 when he was put under MGM contract and made his first film, “They Were Expendable,” with John Wayne. Earlier this year a member of the High Chaparral Discussion Group was on the “Lonesome Dove” TV series fan fiction site when she clicked on a link that took her to a remarkable oil portrait of Henry Darrow as Manolito Montoya. The artist was Robin Moore of Thunder Arts ( http://www.thunderarts.com/oil_av.htm ). Her nontraditional portrait of Mano on Mackadoo captures motion, excitement and the partnership of man and horse. When a link was posted on HCDG, list members who visited Moore’s site were enchanted by her work and called the image of Manolito “beautiful”, “very special”, “lovely” and “very well done”. Robin Moore was obviously very talented and a High Chaparral fan but the gifted woman was otherwise a mystery. Come to find out, the gracious, articulate Moore has stories to tell, including reflections of her life as an artist, memories of being a lifelong Chaparral fan and losing the original Manolito painting during a tragic accident. Like her subject Henry Darrow, Moore was born in Manhattan. As the child of skilled classical musicians, her home life was rich in music and the arts. When her family moved upstate to New York’s Catskill Mountains, Moore gained an abiding love for scenic farms and wild woodlands. The family’s later move to the Los Angeles area made her long for open country instead of traffic jams and relocation to San Francisco proved happier. While in San Francisco, Moore graduated from High School and the California College of the Arts while honing her creative self-expression in music, painting, drawing and photography. On her website she notes, “Much of my painting centers around photographs I’ve taken, or is related to the songs, stories, films or actors that have inspired me.” The High Chaparral and Henry Darrow’s vivid portrayal of Manolito Montoya inspired Moore’s adult creativity. However in 1967 they inspired eleven-year-old Robin to undertake covert operations. The lush emotional mood of Robin Moore’s oils and watercolors is borne of fusion with her subjects. “When I paint, I establish a bond – ‘become’ my subject like an actor approaches character,” she writes on her website, adding that the very process of painting is an act of love. “The sensual grace of a brush on canvas is a form of affection, a caress of another unique identity.” By painting Manolito, Moore hoped to also see if she could meet a personal challenge. Renewed interest from fans for the Manolito painting attenuates Robin Moore’s self-consciousness about the piece. She considers painting it again, something she didn’t have the heart for after the original was destroyed. We hope Moore will recapture on canvas Manolito’s exuberance as he tips his hat and gallops away on Mackadoo. Meanwhile, Holton Studio Frame-Makers in Emeryville, California is offering a number of her watercolors for sale. Gallery owner Tim Holton praises Moore’s artwork as “…simply the most beautiful contemporary watercolors I’ve ever had the privilege to frame.” See these remarkable interpretations of coastal northern California online at http://www.holtonframes.com/gallery/moore/index.html and learn more about Robin Moore at http://www.thunderarts.com/bio.htm. People are often charged ‘two bits’ for their drinks. How much is this? Two bits equal twenty five cents. In the old days, there were no dimes, nickels, pennies or quarters. Bits came from cutting up a one dollar coin. The coins were commonly cut into eight wedge shaped pieces. These wedges of a dollar were then used for small change. Each of the eight pieces was worth 12 ½ cents so two bits was worth .25, four bits was .50 and so on. The defacing or damaging of currency is now illegal but back then it would appear that if a dollar belonged to you, it was yours to do with as you pleased! Recently when watching The Virginian, I noticed several continuity errors in the episode. Coincidentally, the following episode of High Chaparral, Trail to Nevermore also had quite a few. This led me to wonder if the editors at the time had had a bad week. While some people consider them annoying, and I recognise that too many would be, I find continuity errors provide a certain charm, showing us that even the revered weavers of the TV magic we enjoy, weren’t perfect. Glasses empty or refill themselves, guns fire more rounds than they should be able to and other little details slip past the filmmakers. I think the technical side of film making is fascinating. It is also a skill that requires an exacting eye. Since I opened with Trail to Nevermore we’ll look at that first. Victoria left High Chaparral with John and Mano, wearing brown culottes and somewhere along the line they seem to have unstitched themselves and reformed into a skirt after they were stranded. A brown jacket also materialised but I leave that one to the possibility that she brought it with her after their ambushed wagon was lost to them, though I’m not sure how since she arrived at Nevermore empty handed. At least the color of the new skirt was close. John and Mano also managed to spend days in the ghost town without needing a shave. Finally, no one seemed to notice that John had injured his left arm to the point where it was painful to touch yet he used that arm to hold and lean on his walking stick. Definitely not their best week. As you are aware, nothing we see on the screen is filmed in the sequence that we watch it. This is often evident when we observe two characters talking during an outdoor scene. Some small change in lighting, animals in a nearby paddock change (or vanish) or even the actor’s hairstyle can be a giveaway that the scene was not shot in one hit. Other clues to scenes being filmed at different times include the positioning of clothing or the appearance and disappearance of dirt on a face or sweat marks on clothing. Follow Your Heart provides us with an excellent example of the latter. Sam’s clothing is wet with sweat when he enters the church but he is dry while inside. The sweat marks reappear when he leaves the church but he dries up again in the graveyard when he talks to Trini soon after. Clearly, the two dry scenes were filmed at a different time to the wet ones and presumably one filming day was much hotter than the other. Often, small continuity errors are apparent during dusk and dawn settings. This sort of thing would be very hard to avoid since no two mornings or evenings are exactly alike. One person might have a pink sunset behind them while the other has dark night (or lighter afternoon skies) - another giveaway that the scenes were filmed at different times. While not quite an error, like the coiled snake that regularly turns up, I also smile when the same flash of lightning not only appears repeatedly during a given storm, but in episodes of other westerns! Of course I could be wrong but it sure looks like the same one to me*. Furniture also appears and disappears, such as the bench outside Perlita’s house when Mano visits her in For What We Are About to Receive – the memorable Thanksgiving episode. When Mano leaves the house the bench has vanished. What’s more, wounds migrate or disappear altogether. In A Joyful Noise, Mano’s right ankle is bitten by a rattlesnake. A few scenes later the bandages are on his left. Blue doesn’t escape a migrating injury either. In Sea of Enemies his left temple is split when he is hit by a gun. The bleeding injury vanishes for a while, only to reappear in a later scene. Sometimes modern technology also makes an unexpected appearance such as in The Lieutenant. For the sharp eyed person, close inspection of one outdoor scene reveals a jet contrail in the skies above the characters. I’m pretty sure that wasn’t meant to be there. Automobile tire prints are also visible in the sand outside the Cannon house in The Guns of Johnny Rondo. Doubtless, the vehicles that left them there carried filming equipment. But it’s all forgivable. Film continuity is necessary to make scenes that are meant to flow consistently, do just that and filmmakers are generally pretty good about getting things right. Some inconsistencies do tend to distract the viewer and can be mildly annoying. One example of this was in an episode of The Virginian. As I arrived a few minutes late, I missed the title so can’t tell you. It was about a millionaire who closed down a wagon route that was losing money for the company. He spends a month working with the Virginian and learns some valuable life lessons. It’s definitely a favourite episode for me and I enjoyed it immensely – except for that one glaring error. During a very rough and tumble fight scene, leaving the Virginian and the millionaire grubby and their hair dishevelled, they stopped to glare at each other with venom (as you do). Here a conspicuous slip leaps out. During this breath catching interlude both men had clean faces and perfectly combed hair. If you’ll excuse the pun, to have them suddenly look so tidy was definitely a bit sloppy. I’m surprised not a single person involved failed to notice that one. Even the best of filmed productions have errors that have been captured for posterity so High Chaparral is in good company. One of my favourite movies, It’s a Wonderful Life, is not only a delight to watch, but provides a buffet of continuity errors. In what is one of my all time favourites in any filmed production, we see a policeman’s shadow pointing at something moments before the policeman raises his arm to do the pointing! Now that’s a neat trick, don’t you think? * I know I’m being the ultimate nerd here, and while I am sure it is the same bolt of lightning we always see, I could be wrong. I admit this to avoid any readers writing to me to point out (rightly so!) that according to Einstein’s Special Relativity – and he even used lightning as an example – from different reference frames, there can never be agreement on the simultaneity of events. So perhaps, many different flashes of lighting looked identical to me, though I doubt it. 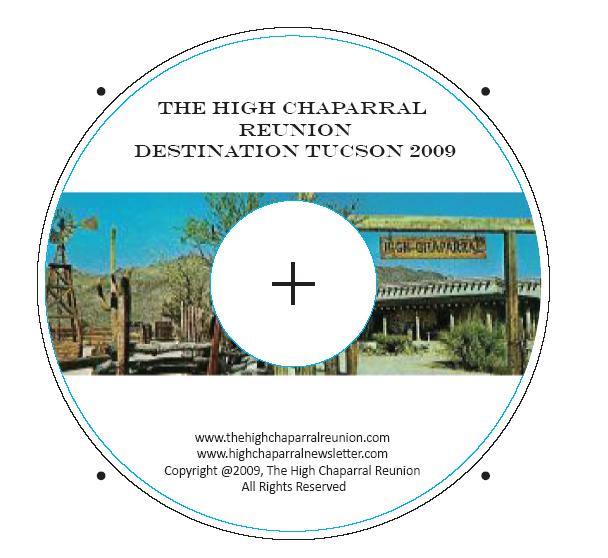 Read about The 2009 High Chaparral Reunion DVD in this Newsletter article by Wendy St. Germain. The DVD is two hours of memories and a must for any fan of the show. This is a limited edition DVD - once they're gone, they're gone. Don't delay, place your order now. $25 plus shipping/handling. Payments are processed securely via Paypal. Order here. Search past editions of the newsletter by topic on the Newsletter Blog. Selected translation in Spanish available on the Spanish Newsletter Blog, El Gran Chaparral Noticias. on The High Chaparral Newsletter Website.